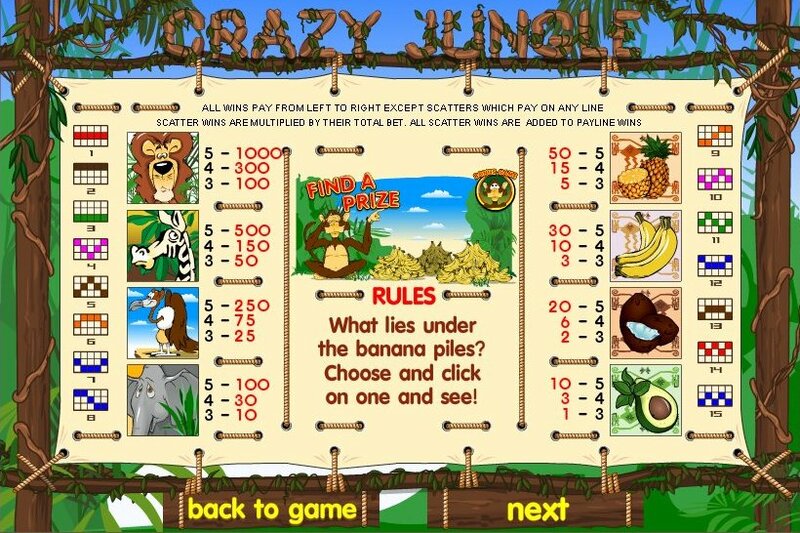 Overview: Go wild with our Crazy Jungle slot game! Earn up to 1500 coins for 5 Zebras and up to 9000 coins for 5 lions! 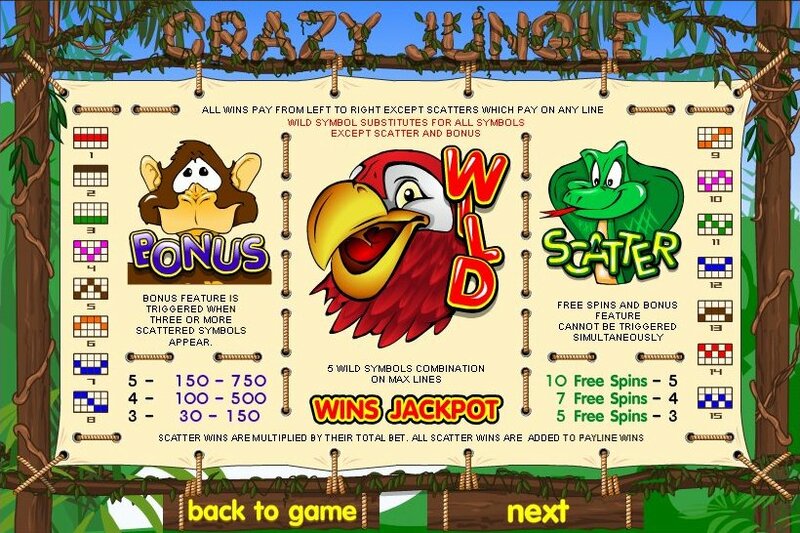 Place the maximum bet, hit 5 Wild Parrots and win the JACKPOT! 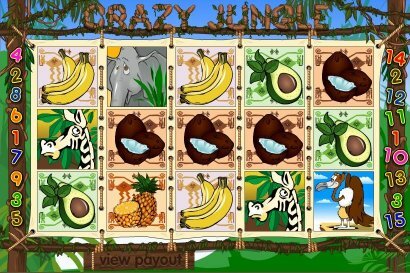 Similar Slots: If you like Crazy Jungle, you might like these other slot machines from Top Game: Beauty Salon, Bingo Slot (25 lines), Transylvania, Viking & Striking, Witches Cauldron.